This was one of the very first balms I created and it's all down to the C-Train. Calgary winters are seriously brutal and waiting to catch the train to go downtown always seemed to sap my skin of any moisture and make it super dry. So I whipped up some Rose Oil added a bit of calming Camellia and hey presto a skincare multi-seasonal marvel was born! This gorgeously scented balm has rescued me from many a skincare emergency; from horrid sunburn to a Calgary winter! 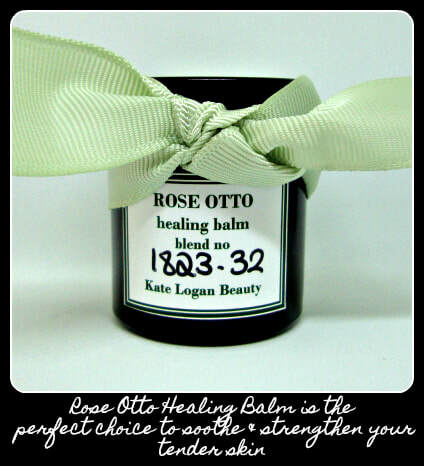 Rose Otto is a wonderful skin healer and is particularly suited to dry or mature skin. Its gentle anti-inflammatory action also makes it perfect for even the most sensitive of skin. As well as being an ideal facial treatment for dry skin, this rich balm is a perfect treatment for the delicate neck area. With its powerful anti-inflammatory action it also makes a wonderfully reviving eye balm.